On Friday 8th June 2018, the Cirencester Committee for MacMillan Cancer Support, in conjunction with Cirencester Golf Club, will be holding their annual golf day. CIA has proudly supported the Golf Day for the past twelve years and is the main sponsor again this year. Over 40 teams have entered this year’s competition and will be competing for the various prizes available. Check out our Facebook and Twitter accounts for regular updates on the golf day throughout the competition. 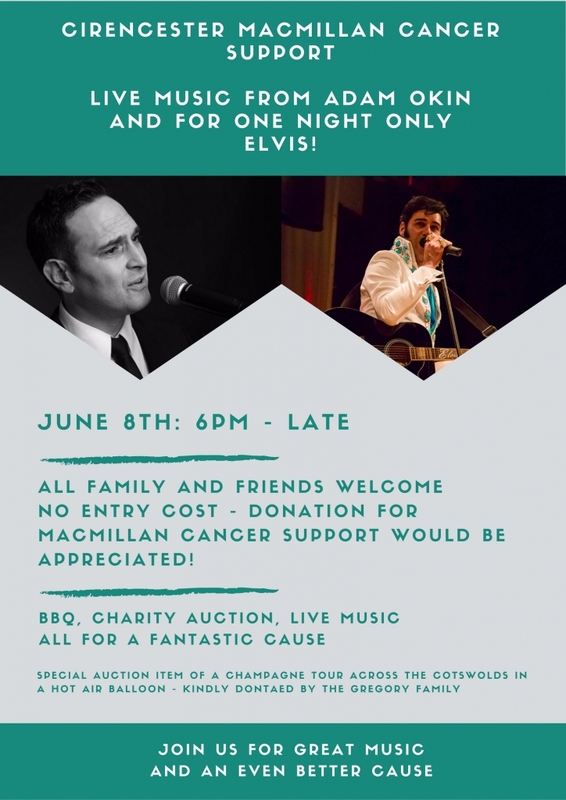 After the golf, there is going to be a whole evening of food and entertainment including performances by the fantastic Adam Okin as well as Elvis! Along with the BBQ and the music, there will also be a charity auction which includes the opportunity to bid for a balloon ride across the Cotswolds. All proceeds raised from the Golf Day will go to Macmillan Cancer Support. If you are interested in attending or wish to have further information about the event please do not hesitate to use our contact form here. To learn more about Macmillan Cancer Support follow this link.